This is a very common question as many people have fell victim of various algorithm changes by Google and other search engines. 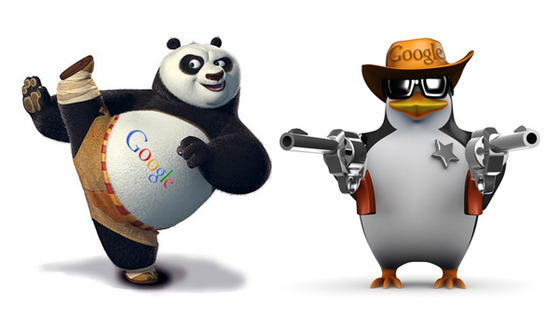 The Google Panda and Google Penguin all had one goal, to provide more quality results to users online. The Hummingbird’s attack was much on keyword research making it hard for SEO professionals to do keyword research rendering many programs designed for keyword research useless. Most people have the perception that SEO has lost its relevance because the recent algorithm changes meant that old SEO strategies do not work anymore. However, not all websites were affected with the Panda, Penguin and the Hummingbird. Most of the websites that were affected with the Google algorithm changes are the ones that used blackhat SEO techniques to rank their websites. The algorithm changes killed low quality links thereby providing more quality content to online visitors. However, Google still loves SEO, just that it prefers whitehat SEO techniques that ensures organic SEO content. The changes have only increased the competition between websites online with many investing more on SEO to provide better quality content and get better quality links to their websites. When companies invest on Search Engine Optimization, they want to see return on their investment in the shortest time possible. This is the main reason why many decided to invest in blackhat or grayhat SEO. As the need for SEO grew, the cost of the services reduced and became much cheaper without knowing that this would become expensive in the long run. It has been very hard and expensive for websites that were affected by the algorithm changes to come back and command presence on search results. In the next couple of weeks, we are expecting the hummingbird update. Nobody knows for sure what Google will be targeting and how it will affect websites across the world. It feels like waiting for the coming of Jesus Christ (for Christians). There are a lot of uncertainty around this update but one thing for sure, nobody wants to fall victim. What Changed since 2013 with Search Engine Optimization? You probably did a lot of research last year to find out how the Google algorithm changes affected websites. What are the best practices that still work and how to ensure you are safe from changes in search engine algorithms. Well, all that research is still relevant and most things that you found out still hold maybe to a greater scale than was last year. You can never go wrong if you play clean with Search Engine Optimization. SEO is not Grand Theft Auto so you are free to use cheat codes and get away with it. SEO cheats can work for some time, but there is no that the results will hold forever. 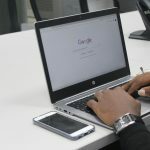 Google and other search engines normally review the algorithms to get rid of cheats that provide low quality information to users. If you want to survive further Google updates, it is important that you do an audit of inbound links on your site. If you find any low quality links that you might have put a while back, this is the best time to get rid of them before the search engines find them for you. The best SEO strategies in 2014 will based on the full understanding on the impact of the Panda, Penguin and Hummingbird. This understanding will help your strategize the future of your online properties. At times it’s best to take a little more time to ensure that you get the best results possible. Content Marketing in 2014 is now stronger that it has ever been. This will be the main determinant on online success and SEO success. Google will this year be reaching out to websites and online properties that really market their content online. A great content strategy will boost your Search Engine Optimization strategy and you will put less effort in SEO as you enjoy marketing your content. So, what exactly will Google be looking into when it comes to content strategy? Ensure that you put regular quality content out to your users. How much have you been doing concerning content marketing so far? That can be your starting point as you can understand what you have not been doing and slowly start on it. You may need more manpower to achieve this or simply invest on content strategy with a good SEO company that ensures to deliver quality to their clients. There are various social media networks and their relevance on search engine optimization has really increased with the changes in algorithm by search engines. A while ago, social media was just for individuals and a way to interact online with people that you otherwise can’t meet often. Things have changed in 2014 with social media playing a major role when talking about online searches. Social media itself has become a great avenue to create leads online. 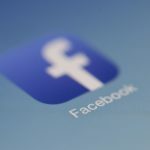 There are people right now who provide services or sell products through their Facebook pages or Twitter accounts. Some do not see the need to have a website if social media can simply work for them. However, looking at the bigger picture, having a website is extremely important. You cannot say one particular social media network is more important than the rest and so you put all your eggs in that basket. It is important that you diversify and reach out to various social networks and command presence there. This can be what gives you an edge against your competitors. I know there are thousands of social media platforms but pick out at least 7 and make sure that your presence is felt on these platforms and grow your community there. Some social media platforms will be a bit easier than others to grow a community but it is important that you never give up on this. Work out your strategy well and invest in social media services if you have to. A common mistake is making social media accounts and leaving, never to be seen again. Activity and engagement is what matters with social media. Ensure that all your accounts are active and that sharing of content from your site is easy for visitors who come to your website. Social signals are very important and search engines will increasingly look into this as a measure of quality of content. Should you care about G+? 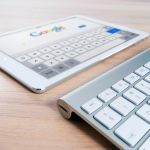 I hope you never asked that question because if you still doubt the impact Google+ on SEO, then there is much more that you do not know about SEO. If you want to make a difference with social media, then it is important that you invest in Google+ on your social media strategy. Studies have increasingly showed that search engine results have been influenced by far by Google Plus. I would simply say that Google loves themselves. Social signals that come through Google Plus add up to improving your relevance and therefore you should never underestimate the plus ones that you get from sharing your content on G+. Make sure that you establish authorship of content that you put online through Google Plus and you will not be disappointed. It is not really surprising that mobile use is on the increase throughout the world. People are accessing content and information online increasingly through various smartphones or mobile devices. The use of desktop computers in on the decrease, while more people prefer to use their mobile devices. Google has also seen this and with the hummingbird, they tried to show how seriously they are taking the changing trends. Therefore, when designing your website, it is important that you also consider users using mobile devices. This was not an issue but it is increasingly becoming an important aspect and with the uncertainty that comes with the hummingbird update, we are not sure how much it will affect sites that are not optimized for mobile. You may want to look into your website and maybe invest in a redesign before it is too late. Luckily, WordPress and other CMS platforms now have themes that are fully responsive and therefore there is little to worry when it comes to mobile SEO. There has been real concerns on the length of content that you need to put on your website. How long is enough for you to appear in search results? A few people claim to have done research on major keywords and found out that search engine results that appeared on the first page had content with more than 2000 words. Well, for me, I would say that it only depends on what your website is all about. What you are writing about will define the length of the content. What Google is looking for is quality and not length. Even if it is 200 words, did the visitor get what they wanted? If yes, then your content is as good as the 5000 word article explaining what the capital city of Afghanistan is. The hummingbird had a special interest in mobile SEO. So what happens with your5,000word article to mobile users? It can be tiring scrolling through an article with 5,000 words on your iPhone. As a part of content strategy, it is important that you provide content that is mobile friendly and users can get information they are looking for much easier through their mobile devices. There cannot be a clear compromise between mobile users and desktop users. We will have to wait and see what solutions can best work out for the two because providing content for different versions of your website can be hectic. This is for those who would choose to have a mobile version of their sites as opposed to having a fully responsive website. Keyword research has become a nightmare for many SEO experts. It has become almost impossible to do a proper keyword research as Google chose to encrypt its searches. However, there is always a way and no system is perfect. This data can still be accessed by PPC users. Maybe they might come with a plan in future that will allow people to get this information but at the moment choices are limited. Link building was/is one of the best ways of building authority online. However, gray/blackhatters exploited this avenue providing online users with low quality information online. Have you ever searched for something online and landed on an article that totally makes no sense and looks like a bunch of English words put together in what seems to be paragraphs? This is a strategy employed by blackhatters as they spun articles and automatically posted them on thousands of websites giving links back to their websites. The Panda and Penguin with their subsequent updates dealt with this to a great extent. Even so, one link building aspect that still works to date is guest blogging. There are various benefits that come with guest blogging and why it has become more relevant especially this year. Guest blogging does not only assure you quality backlinks to your website but also web traffic and helps you in branding your product. When guest blogging, ensure that the quality of content you provide is of high quality. Most blogs would not agree to low quality content anyways. Ensure that you put a lot of effort on this content as if it was on your own online property. Google is after spammers and so you need to avoid exposing yourself or you will fall victim. Search Engine Optimization is a science that is dynamic. You cannot sit back and relax assuming you have the best content online. These updates on algorithms can hit you when you least expect and returning to the game can be very costly. What we insist the most on is quality on content. If you ensure that you provide quality content and you are patient and more into organic SEO, you will get better ROI. Last year saw major changes in algorithms that really changed the face of SEO. We only expect 2014 to be even more eventful with the hummingbird update expected to have an impact on search engine results. Preparing for the hummingbird update only means that you increase the quality of your content and that you better your SEO strategies. Get rid of links that do you no good and focus more on getting links that will secure a future for your website. 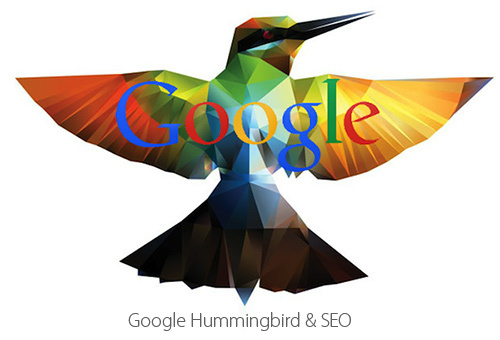 Google Hummingbird update make SEO more complex and now people need to pay attention upon contents. All those people who are in the habit of using duplicated contents will be strictly penalized and kick away from search results. Experts say that Hummingbird is the biggest algorithm update from Google since last decade. Your tips are very simple and easy to follow but have big impacts for getting top position on search engines and qualifying in Hummingbird. I recommend all the bloggers and small business owners to read your post and get benefits.